Renovus Solar is proud to cement its position as one of the top solar companies in the United States with the release of this year's Top Solar Contractors list published by Solar Power World. Thousands of solar installation contractors from across the country submit their installation numbers yearly, and Renovus continued growth shows through our jump up the regional and national rankings. #2 Residential solar company ​among all New York-based solar companies. Up from #6 in 2017. #34​ Residential ​solar company in the United States, up from #146 in 2017. #142 out of 450 overall in The United States, up from #319 in 2017. ​Our team is extremely proud to have made waves in the New York State solar market, and we expect to continue this pace of growth moving forward. Our commitment to maximizing the impact of solar for every resident in NYS is built around making solar accessible and keeping the costs of investment as low as possible. In 2018, we will have completed our largest solar farm to-date and started construction on an additional three farms. Thanks to Renovus' growth, National Grid customers in Central NY will now have access to community solar ownership for the first time. Residents all across New York State can leverage both on-site and off-site options to erase their energy bills. 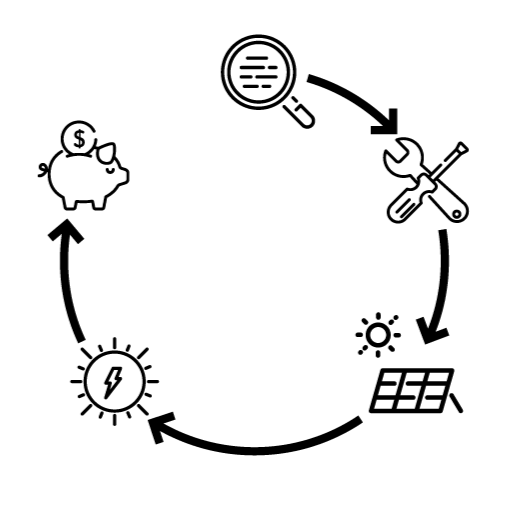 ​This new inventory combined with our best-in-class financing partnerships are helping thousands of families access the power of solar for monthly payments lower than their old utility bill. Partners like Alternatives Federal Credit Union and M&T Bank are opening doors to making solar more affordable than ever. "Our goal as a company has always been to increase access to solar, without compromising the quality of our components and workmanship," says Joe Sliker, President, and CEO of Renovus. "2017 was a banner year, and the rankings show it. 2018 is shaping up to be another record year for Renovus, and we couldn't be more thankful to our customers for giving us the opportunity to help them take control of their energy". We have our sights set on helping New Yorkers live a solar powered life, and every Kilowatt installed moves our state as a whole closer to a sustainable future. If you want to join the renewable energy revolution by working with our team, please give us a call. We're here to help. ​Panel prices are at all time lows, and incentive packages are at all time highs. What does that mean for you? Saving thousands on energy bills. Learn more by clicking the button below!